A conversation provides the opportunity to advance your search and realize additional value. We invite you to join us for an in-person conversation to discuss your financial and operational challenges and goals. CEOs, presidents and owners consistently share with us that they found significant value in a first conversation. 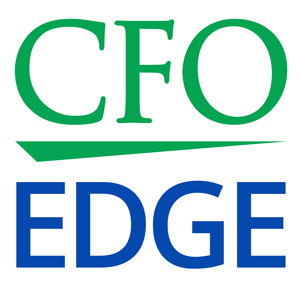 Authoritative Input from an Experienced CFO — We have advised CEOs, presidents and owners of businesses ranging in size from startups to billion-dollar public and international corporations. A conversation informs your search with well-versed and objective insights. Advance Your Search with New Perspectives — We hear executives say they found added value when our questions and comments expanded their views with important factors they had not yet considered. Value of Business Introductions — If we both find that it could be beneficial to move forward on your project, we’ll provide you with a comprehensive proposal. If we mutually sense there is not a good fit, we have established a business relationship. Each of our partners has lived and worked for over 30 years in the Greater Los Angeles area. With a clear understanding of your business, we are well-positioned to refer opportunities to you and introduce you to professionals at area law firms, CPA firms, commercial banks and venture and equity firms. Three Complimentary Offers — With agreement, we offer your three complimentary professional services options to demonstrate our workstyle, your value outcomes and our commitment to your company. We invite you to contact us to discuss a good time for an in-person conversation, and we’ll place a return call to you as quickly as possible. "From the beginning, the specificity of Art’s questions showed he knew what he was talking about and how to get us where we wanted to go." "Art worked well with our team, earned their respect and brought real value to the engagement beyond the defined assignment." "I appreciate a productive and enjoyable working relationship with Art. I hold his financial subject matter expertise in high regard." Beginning with overviews of our respective companies builds a context and common ground for our focused discussion. Hearing you share an overview of your company creates a context for discussion of your challenges. It also helps us better understand what drives your company, the type of outcome value you seek and potential paths to that value. In this regard, we’re interested in your description of your company’s background; industry sector; products or services; and competitors. It would be helpful, too, to hear about your general business strategy and long-term goals. We will provide an overview of our firm’s history, as well as the scale, scope and depth of our CFO experience and expertise. We will also share white papers and client success stories. We want to ensure we give you the information you need: we’re glad to respond to questions you have. Examples of areas executives have asked us about include our general approach, what value we bring, what sets us apart from other firms and why we do this work. In this first part of our conversation, we both have opportunities to gauge the fit of our respective personalities and workstyles; trustworthiness; the mesh of our cultures; and the alignment of our approaches. Executives have shared with us that they begin to see what a working relationship would be like in the level of our understanding and interest; in the types of questions we ask; in the relevance and depth of our replies to their questions; and in the candor and clarity of our comments. We turn our attention to an in-depth review of your challenges, solution options and desired outcome value. We would like to hear about the financial and operational challenges you’re facing, as well as about the financial and operational impact of them not being resolved. Examples include incurred and ongoing costs of the challenges, reduced productivity, a deadline is putting the company at risk, or an opportunity that is being delayed or missed entirely. Valuable parts of this discussion also include your vision of what a solution will look like, the outcome value you want to see and how you will measure success when the solution is operational. With a shared understanding of your challenges and goals, we put our heads together to spark ideas on how to get you where you want to go. Taking on characteristics of an idea lab, this part of our conversation is a spirited back-and-forth exploration of “what if?” scenarios, their risk/reward equations and how they could work for your situation. We can also share experiences working with other executives who faced similar challenges and describe the options they looked at, the solution path they chose and the value they realized. With a discussion of this nature, you have fresh, objective and authoritative information to inform your search for a solution partner. If you sense there is potential for us working together, we will provide you with a comprehensive proposal tailored to your requirements that summarizes the topics of our discussion, provides clear steps and a timeline for a recommended path to resolution and presents fees. An option – based on mutual agreement – is a demonstration of our full engagement with a complimentary service described below. Based on the outcome of our discussion and mutual agreement, we will provide you with one of several complimentary professional services to demonstrate how we work, the value we deliver and our vested interest in working with you. Acutely aware of the need to do more with less, executives want to partner with providers and invest in solutions where outcome value can be demonstrated. As client-side and services-side CFOs, we have gained deep expertise in developing business cases to show how a solution will deliver value. During our conversation, we can explore this complimentary option and review examples of tangible and intangible value our solutions deliver. We offer a complimentary option of working with you on a preliminary discovery engagement. Steps include prioritizing the challenges you identify in our discussion and assessing related factors. Examples of factors include financial statements, accounting procedures, operational processes and strategic goals. In a follow up conversation, we present you with a summary of findings, a review of ways to move forward and recommendations on beneficial paths. We can also provide a complimentary benchmarking analysis in which we compare your performance numbers to industry-standard numbers for competitors in your industry and of your size.